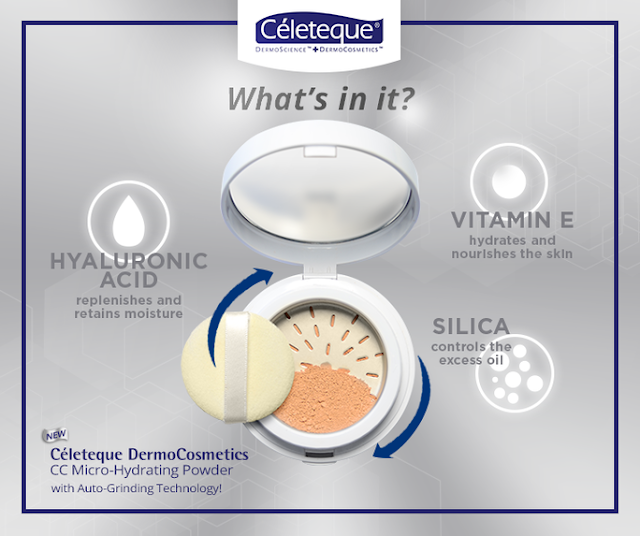 Beauty News: Céleteque MicroHydrating Powder now on Sample Room! Pamper yourself to the hydrating and nourishing power of Céleteque DermoCosmetics CC Micro-Hydrating Powder! It can blend and even out your skin complexion, control oil and shine, while keeping skin radiant and well- moisturized. What’s more, is it has SPF 30 to provide double sunscreen protection from the harmful UV rays of the sun! Get your samples at Sample Room now!! !